School and Nursery Presentations: Information on all our talks/presentations available for schools and nurseries. A Visit to the Dentist : A poster showing children what happens on a visit to the dentist. It can be fun as this journey shows! Useful for schools and nurseries as a poster and teaching aid, as well as for parents. Hidden Sugars: An investigation by the Sunday Telegraph into how many fruit smoothies and drinks are more acidic than vinegar and contain large amounts of sugar. Brush DJ App: free toothbrush timer app that plays 2 minutes of music taken from the user’s device to encourage brushing for an effective length of time. 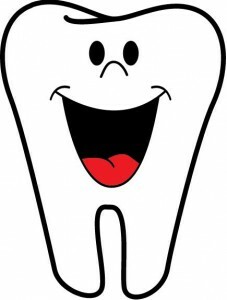 Dental Buddy: a website devoted to children, with activities and information. Colgate Games: Games dedicated to teeth, for age groups 4-6 & 7–9. Colgate Storybook “Doctor Rabbit and Friends”: storybook about tooth defenders. Produced by Colgate for children aged 7-11. Junior Gum Disease Worksheets: To assist teachers and children, recognise the main areas where plaque can accumulate in the mouth. Also helps children understand the importance of brushing in relation to preventing gum disease. Features teachers notes. 543 Junior :Information and games for a wide variety of age groups.